Are you ready to free your home from harmful chemicals? 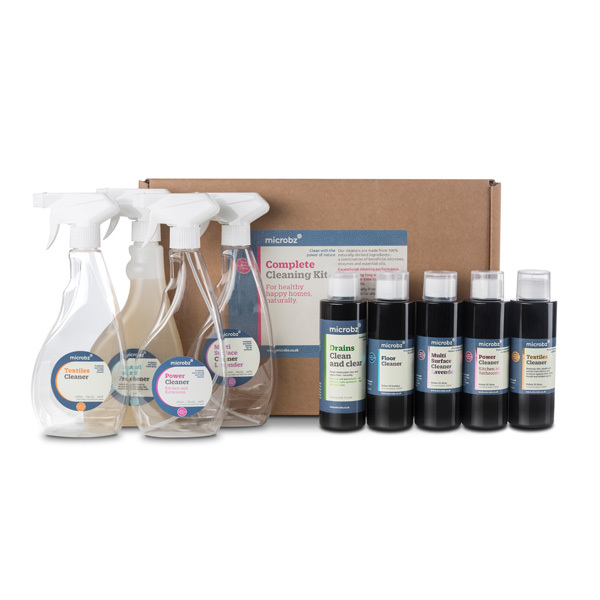 Our Complete Cleaning Kit includes everything you need to get you started on a lifestyle you will love, using the incredible power of nature and nothing else. This natural, gentle and effective technology covers surfaces with beneficial micro-organisms that love to gobble up grease and grime, and at the same time repel any pathogens, (ie the ‘bad guys’) so that your home stays healthy and happy. 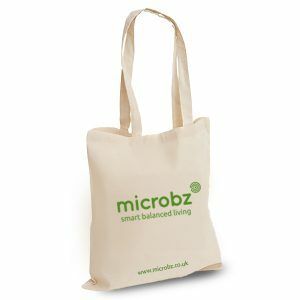 Rebalancing your microbial environment can look after your body, your home and your pets. Simply and inexpensively. 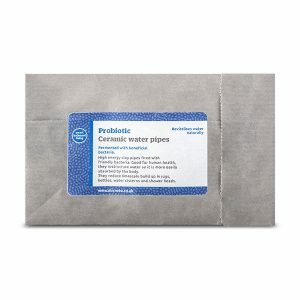 Includes spray bottles and full instructions for use. 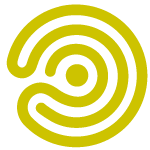 Unique blends of beneficial microbes, oils and enzymes that populate surfaces with positive microbes. Customers report great results: effective at dissolving dirt and grease, efficient against odours and moulds, repels mites and other allergy agents, clears waste water pipes, deters lime scale and creates a positive environment within your home. Power Cleaner: Hand brewed with love. Powerful active ingredients are more than 95% beneficial microbes, alcohol, lemon, lime, orange and pine essential oils, enzymes. Multi-Surface Cleaner: Hand brewed with love. Active ingredients more than 95% beneficial microbes, alcohol, lavender and pine (or citrus) essential oils, enzymes. And nothing else. Textile Cleaner: Hand brewed with love. 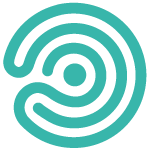 Active ingredients are more than 95% beneficial microbes and essential oils. Floor Cleaner: Hand brewed with love. Active ingredients are more than 95% beneficial microbes and essential oils. Air and Fabric Freshener: Hand brewed with love. Active ingredients are more than 95% beneficial microbes and essential oils. 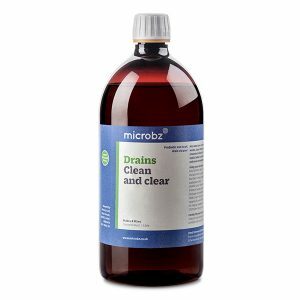 Drains Clean and Clear: Hand brewed with love and water, sugar cane molasses, beneficial microbes (lactic acid bacteria and photosynthetic bacteria, yeasts). Power Cleaner, Multi-Surface Cleaner and Textile Cleaner: Add 5ml to a 500ml spray bottle and fill with water. Simply spray, leave for 2 mins and wipe. Or spray last thing at night and leave until the morning for an easy clean. Floor Cleaner: Simply dilute 1 – 10ml of Floor Cleaner with 1 litre of water in a bucket (equals a ratio of >1:100). Avoid using excessively hot water – the microbes work most effectively in warm water. Air and Fabric Freshener: Shake before use. Totally allergy free and also child and pet safe. Drains Clean and Clear: For wastepipes dilute 1:4 with water and add 50ml to sinks, shower and bath outlets weekly to keep wastepipes clear. Apply overnight to allow microbes maximum munching time. Keep at room temperature, out of sunlight and avoid drinking. This bottle is 100% safe to store under your kitchen sink.